I’m teaching art classes with Scripture based lessons. This is a new venue for me to present God lessons through painting. And you get to hold the brush! This informal, stress-relieving activity produces smiles, lightens burdens, and equips us for service. It’s not to inspire anyone to become an artist, although some may find their gift in paint and canvas. It’s to learn God’s truths and to fellowship with one another while letting our concerns drift away for a few hours. You have seven classes to choose from (click on the title to view the painting and the message): Apple Blossoms, Dogwood Blossoms, My God Can Move Mountains, The Bright and Morning Star, You Have Straightened My Path, You Love Me More than These?, The Vine, The Branch, and The Fruit, Swans and Other Ugly Duckling, The World’s Dark…Be the Light . 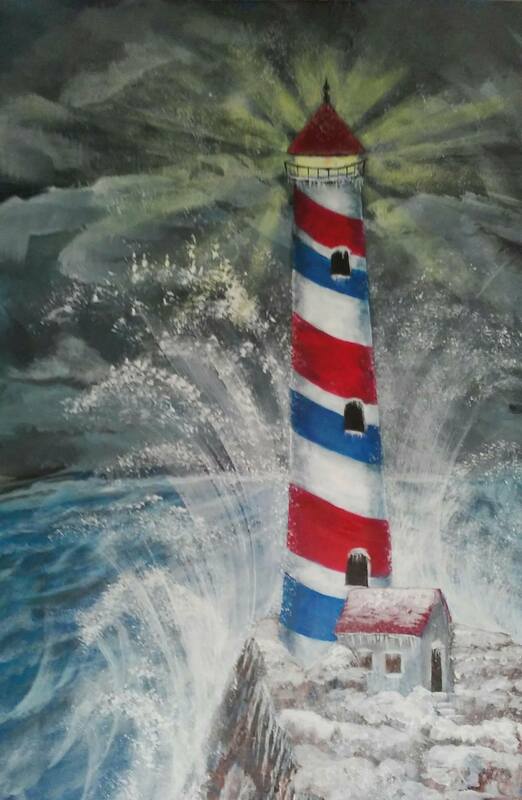 If your group, would enjoy painting classes and the fun involved in Christian fellowship, contact me. Click on an image below to read a brief description of the lesson.